Keith Hilzendeger and Robert Dyer scored 0.60 masterpoints with a 55.36% game at In Tempo Bridge Club. See full results of this game. Keith Hilzendeger and Robert Dyer scored 0.27 masterpoints with a 45.93% game at In Tempo Bridge Club. See full results of this game. 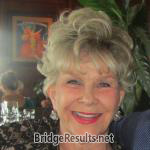 Keith Hilzendeger and Sheri Martin scored 0.27 masterpoints with a 57.45% game at Bridge On Shea. See full results of this game. Keith Hilzendeger and Robert Dyer scored 0.80 masterpoints with a 55.36% game at In Tempo Bridge Club. See full results of this game.